You cooked up your hard-boiled eggs and maybe even colored them for Easter. And now? You’ve got a lot of hard-boiled eggs on your hands. Never fear – several a-peeling ideas are right here! (Sorry – I couldn’t help myself.) 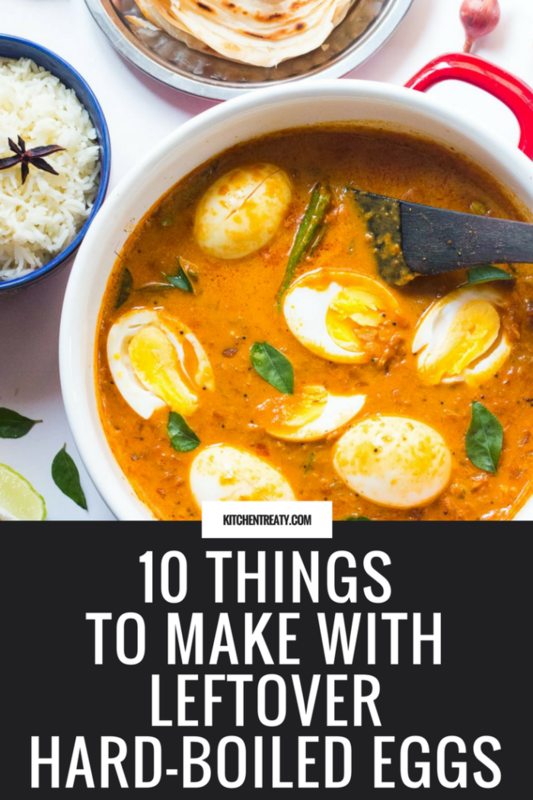 Read on for 10 things you can make with your leftover hard-boiled eggs. Power up your green salad with a hard-boiled egg or two. 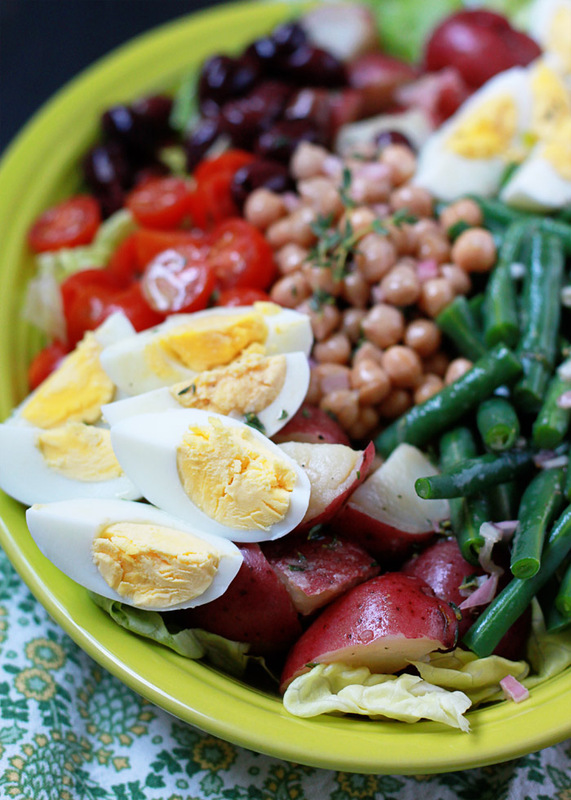 Try this epic winter salad, a classic Cobb, or perhaps a salad Niçoise situation as shown here. 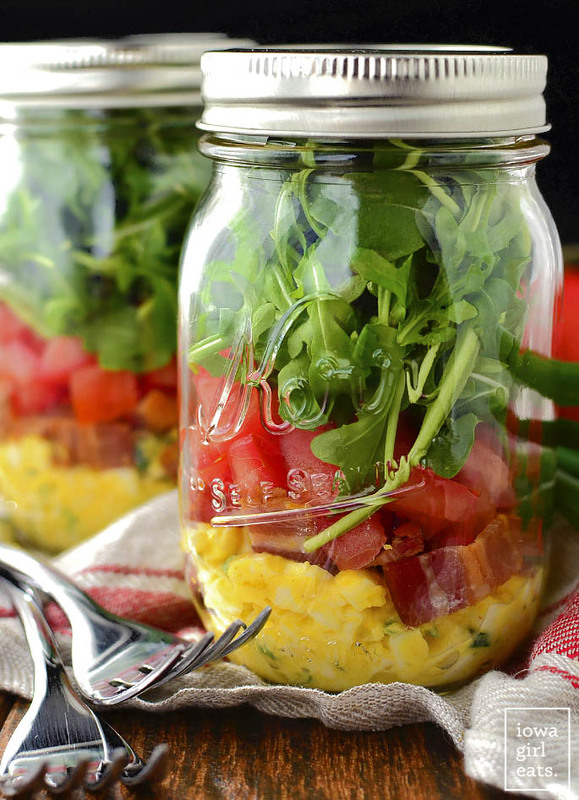 Or make a mason jar salad! This salad from Iowa Girl Eats deserves special mention. Just leave the bacon out for a veggie-friendly version – either way, these BLT egg salad jars are perfection. Or check out this pasta salad action! 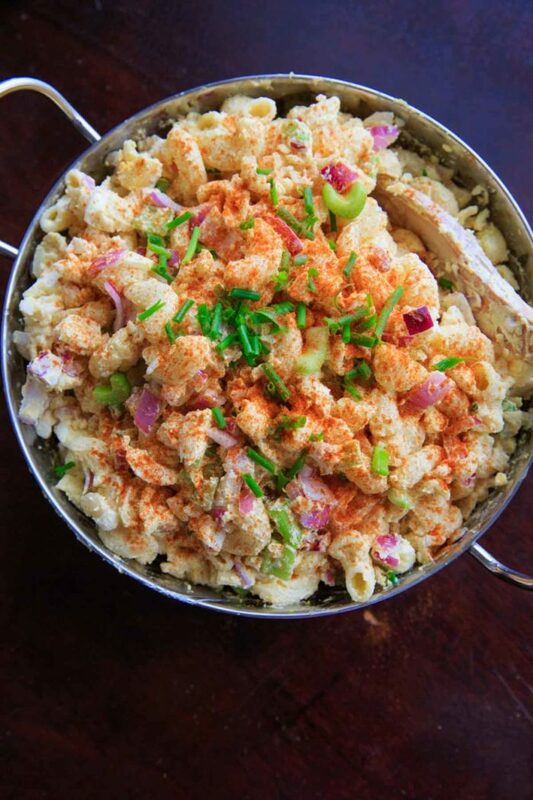 Here we’ve got a unique spin on macaroni salad from Trial and Eater: Deviled Egg Pasta Salad! 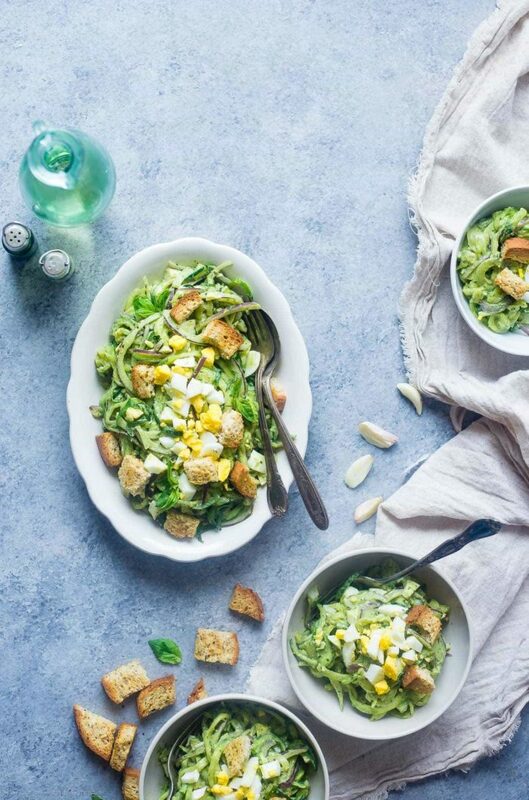 Or how about this uber-healthy zucchini noodle salad? This one from Food, Faith, Fitness is a must-try. Okay! Moving beyond salads. 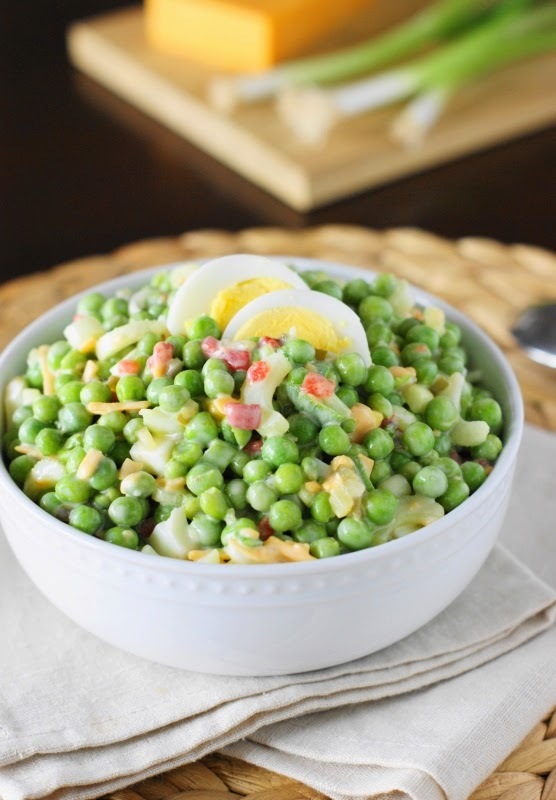 Here we have a springy asparagus casserole with hard-boiled eggs cooked right in. Yep. 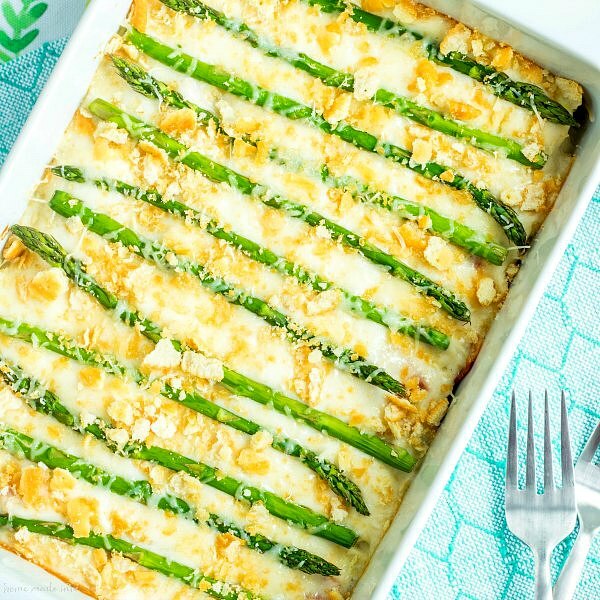 This Asparagus Casserole from Homemade Interest is super cheesy, too – and not in that dorkily funny way. Egg salad? Of course! 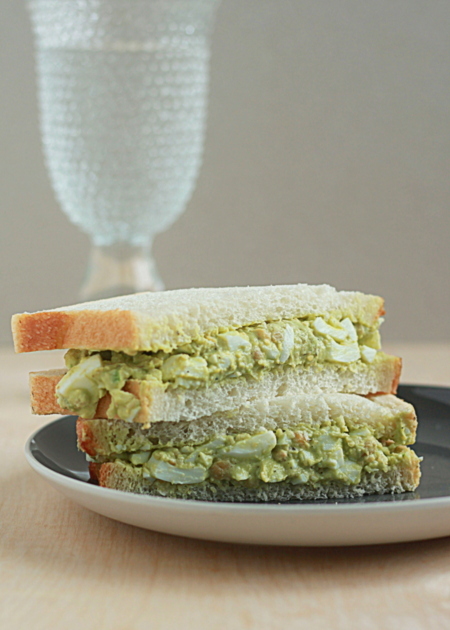 This one’s a bit of a twist, with avocado, chickpeas, and – of course – hard-boiled eggs. … or make a fancy sandwich! 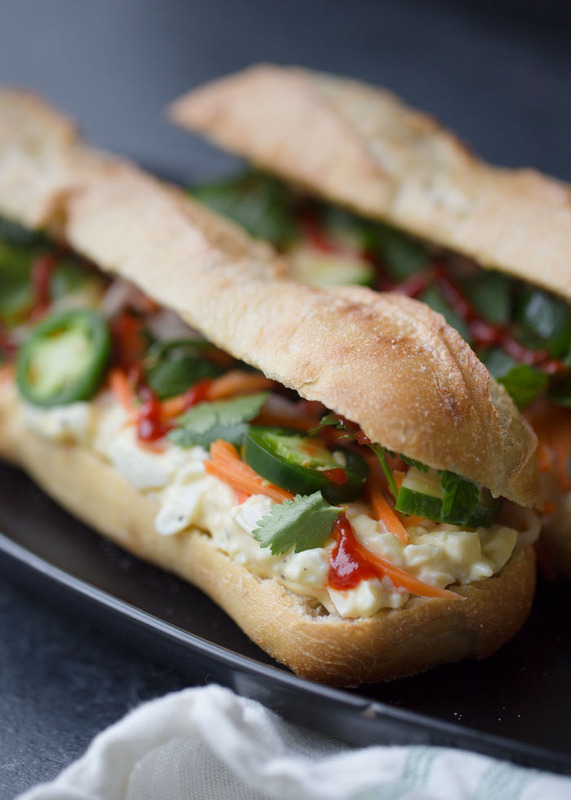 Here’s a brand new recipe from yours truly – an egg salad banh mi. These things are SO GOOD! 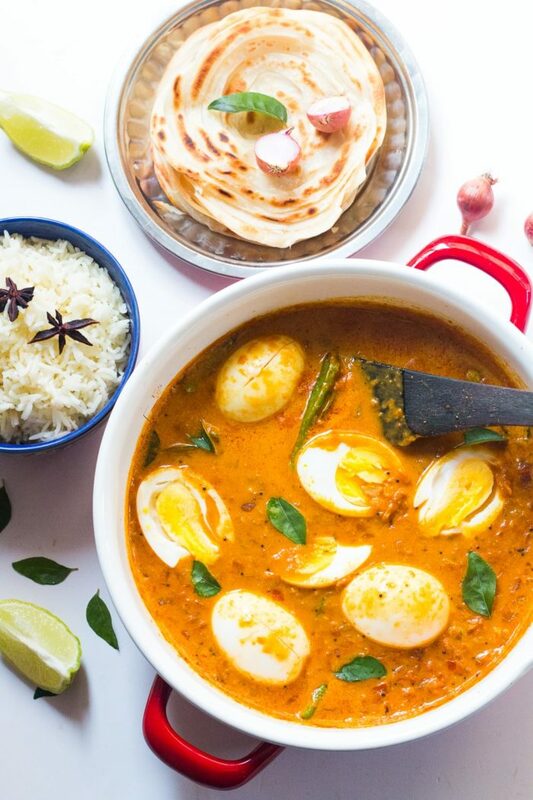 This South Indian Style Egg Curry from My Food Story needs to happen SOON in our house. Or? 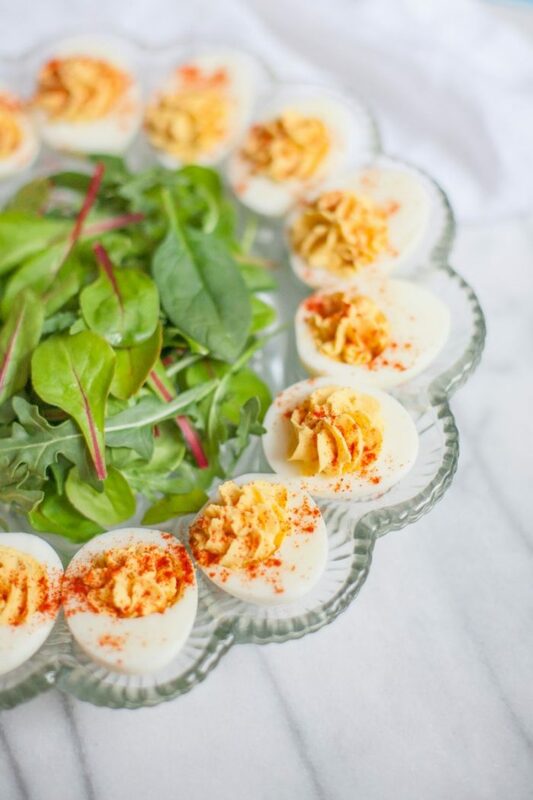 Make deviled eggs, of course! Like these, these, all of these, or the Hummus Deviled Eggs (from Wholefully) photographed below. Perfection! What’s your favorite thing to make with leftover hard-boiled eggs? Leave a comment below!